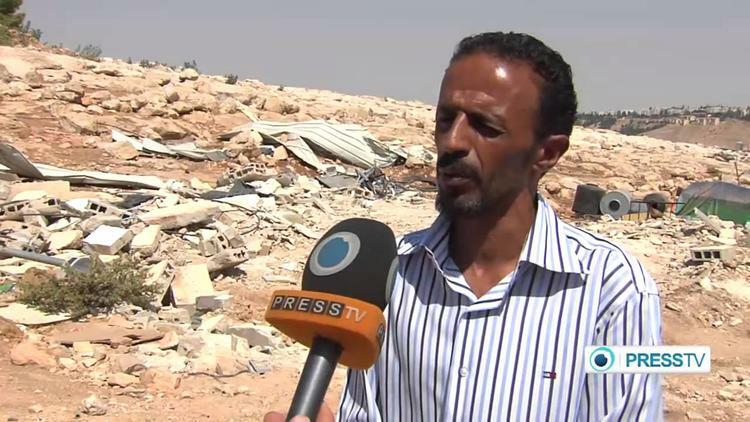 JERUSALEM (Ma’an) — A Palestinian family has begun to demolish part of a building it owns in East Jerusalem to avoid paying fines after the Israeli municipality issued a demolition order, the owner said Tuesday. Walid al-Ubeidi told Ma’an that due to the size of his family, he expanded the building from three to four floors in 2002, and to five floors in 2004-2005. He tried to obtain building permits from the municipality for both expansions, but to no avail, al-Ubeidi said. An Israeli court recently ordered the family to demolish the fifth floor and seal the fourth floor by Sept. 25, or else face paying huge fees for the municipality to bulldoze it. Some 18 people from his extended family will be displaced as a result of the demolition, he added.